Moving home isn’t just moving furniture. However, moving furniture is probably the hardest part of Bergen County relocation. Without sufficient experience or proper moving assistance, your moving day could become a nightmare. 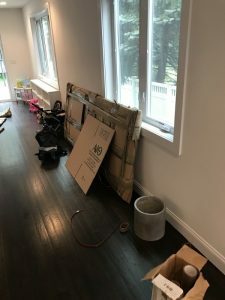 To avoid this scenario, we suggest you think about hiring furniture movers in Bergen County to give you a hand with this demanding process. Read on and learn why moving furniture is that difficult and how to hire the best furniture moving professionals. It’s a fact (proven by scientists) that moving process is among the most stressful things you’ll experience in your whole life. But, what brings so much stress, you might ask? First of all, you’re moving to another home. Second, there are chances that you’re not going to see people you love for a while. Especially if moving long distance. Third, if you have children, they will leave their friends behind, and it will make them said. Fourth, the process itself lasts for weeks or even months. There are so many things that you need to do. Some of them are quite demanding. If we’re gonna talk only about the moving process itself, then moving furniture is probably the most demanding thing you will face. Why? Because it’s not simply packing, transportation and unpacking. The packing process is difficult per se. There are many items you’ll need to disassemble before you pack them. Besides this, there are many special items you might have, and also fragile and valuable belongings you’ll want to protect from damage. To do this, you need experience, know-how, and handiness. If you lack any of aforementioned things, we suggest you don’t try a DIY moving project. At least if you want to move safely and save your belongings from damage. Why is moving furniture so demanding? As we said, the most pieces of your furniture need to be disassembled before moving day. Some of them don’t fit your doors and windows, the others just need to be disassembled so they would be transported safely. Dismantling some pieces of furniture is quite difficult, so it takes hands of professionals. Also, being careful is not an option, but a must. If you’re not careful, you could damage your valuables even before moving them. Another important when disassembling furniture is making sure to put all parts of it in one box, or in different boxes, but keeping them together. If you’re not a professional, losing some screw or some part of the mechanism is almost surely going to happen. Imagine that, after your moving day, you start reassembling the furniture, and some parts are missing? Or, you were careful and saved all important parts, but you don’t know how to reassemble something. And, there are some pieces of furniture that take hours to be reassembled. Hiring furniture movers in Bergen County will prevent all these troubles. How to pick top-class furniture movers in Bergen County? 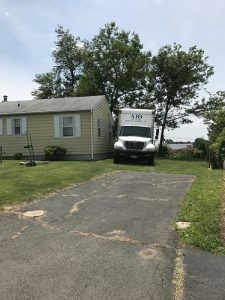 Find all potential NJ moving services near you – The more furniture movers you find, the higher the chances you’ll hire the right one. Get the picture of each service – Make sure to hire only reliable furniture movers in Bergen County. Compare the offers – Making the decision which is the company you should hire. Where to find furniture moving services? There are many ways how you can make a list of 5-10 Bergen County furniture movers. Start with asking for recommendations, and start with the people you trust the most. After that, the ads and the internet are full of furniture moving professionals. Whatever you do, don’t stop searching until you have at least 5 companies to compare. Before you compare the companies, make absolutely sure that you’re gonna avoid moving scams and low-quality furniture moving services. Not only that you wouldn’t prevent the damage to your furniture, but you could face dealing with fraudulent movers that would keep your furniture a hostage. Or even worse, they could steal your belongings. Not something you would expect when hiring professionals for moving furniture to Bergen County, right? Well, this is why we suggest you pay attention to red flags, such as: No licensure; No company name when answering the phone/mail; Not owning but renting moving vehicles and equipment; Bad reviews; Accusations of a moving fraud; No website; Refusing to provide you with answers to some important question etc. If you spot any of things we aforementioned, just walk away on such a mover. Now that you know that any mover you pick will at least be a decent one, it’s quite easy to make your decision. Nevertheless, you should know how to properly compare furniture moving companies before hiring one to help you move to Bergen County. First, decide what moving services you need. Second, determine your moving budget. Third, make sure to get a precise moving cost estimate together with the list of services you will be provided with at the price you got. This way, you will have an exact information of what you will pay if you hire any of companies from your list. So, which furniture movers in Bergen County to pick? The one offering exactly the services you need at the most affordable price. And, another suggestion, if comparing two companies offering the same package of services, but slightly differ in price, we suggest you hire the one offering more quality services.